New members may not be aware of our one-off handicap races. 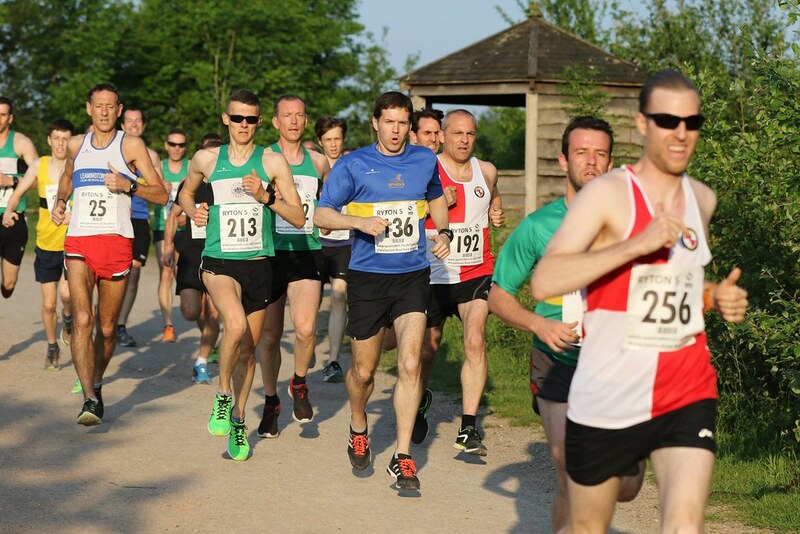 The 5 mile run at the Ryton 5, the 10 mile run at the Rugby 10 and the half-marathon run at Kenilworth. The handicapper predicts times for all members and whoever beats the predicted time by the most is the winner. Only 6 runners managed to beat the time set by the handicapper, and it was very close. Pete Fahy beat the handicapper by the most – 42 seconds with Collette O’Keefe in 2nd position – 41 seconds. It was an extremely hot evening and this may have affected many runners’ times, it certainly affected mine! !